Hello everyone, happy afternoon! 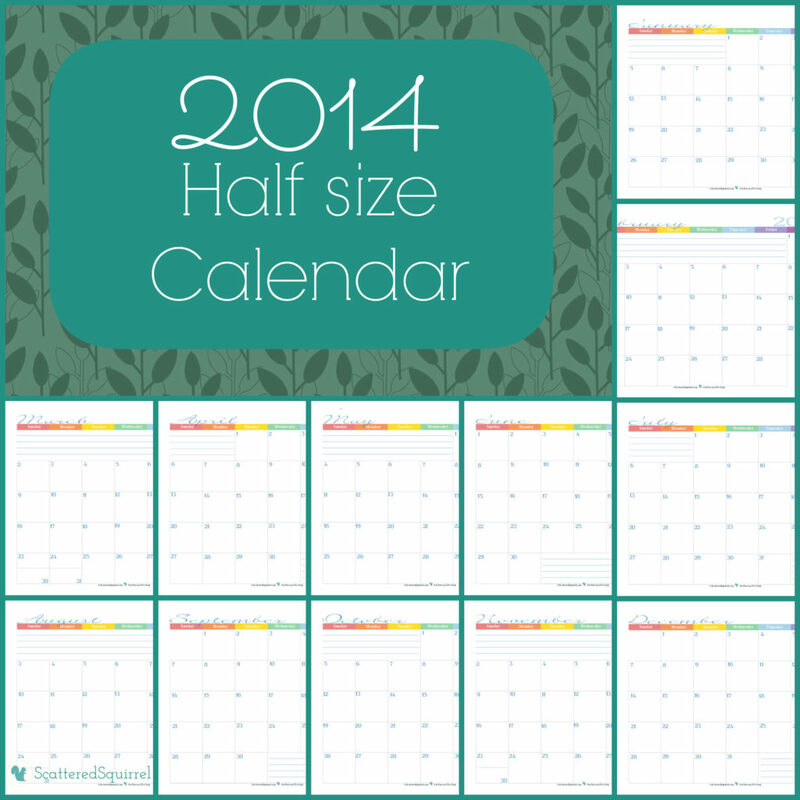 I’m back with part 2 of the 2014 Calendars and I’m ready to get sharing with all of you. I have to say, the half size planner printables are one of the most popular requests that I get. When it came to making up the 2014 Calendars, a half sized version was right at the top of my list. I guess these really don’t need any explanation do they? One quick thing to note before I share them with you, fold them in half or use a ruler to find the center then cut in half. I tried adding a line, but it kept getting offset from the center just a smidge, enough to really annoy me, so I opted to take it out. (call me crazy but having one half slightly bigger than the other really bugs me) Without further fanfare, here are the 2014 Calendars Half Size Edition! If you’re looking at them thinking they look just like the full size, you would be correct. They are almost identical to the full size ones, though their proportions are not quite the same. For anyone who already downloaded the ones from yesterday, there was an issue with January and February having a bold font, I have corrected that, and updated the file, so if you want to re-download it, click the picture below. And that concludes the single page monthly calendars for the new year. I have a couple more ideas I want play with for different calendar, and I’m always open to any suggestions that you have! Before I go, I just wanted to say that the response to the printable of the month has been AMAZING! If you filled out the form before noon today (PST) then your copy should be in your inbox as I type this. If you filled out the form after noon, I’ll be filling more orders in a little bit, so check your inbox later on tonight. 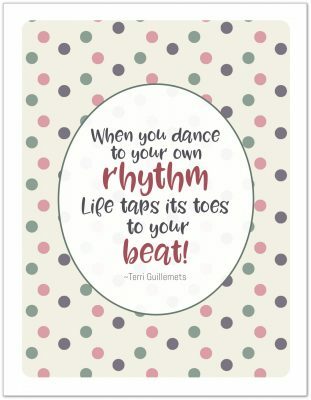 If you’re wondering what the Printable of the Month is, here is a link to the post, and here is one to the page. You have until 11:59pm PST on December first to snag a copy of your own. And now I’m off to finish working on the two page calendars, which will be available here either tomorrow or Saturday, so I hope you stay tuned. What do you think about the new colors on the calendars? Any thoughts? Any of them you really like? Any of them you can’t stand?